Christine Parker‘s impressionistic works exude a potent lust for life and the immersion of nature’s boundless allure. Her body of work encompasses many oil paintings of abstract landscapes, and still life‘s teeming with texture, color and transcendence. With Parker’s deft hand, an image as seemingly unsophisticated as a table with flowers and a cup of coffee placed on it can exude complexity with its intricate mixtures of fragile hues and brittle textural qualities. These aspects also endow parker’s paintings with a distinctive rustic appeal reminiscent of Vincent Van Gogh and Claude Monet. Parker’s landscape paintings appear derived from a succession of broad and rough brushstrokes which give the environments they portray an ethereal, almost dreamlike translucency. Looking upon her works, viewers may find themselves wondering if her paintings are visions of the natural world through teary eyes manifested by strong emotions of either elation or despair. What is for certain, ultimately, is that Parker’s prove no less than wondrous visions of worldly domains. 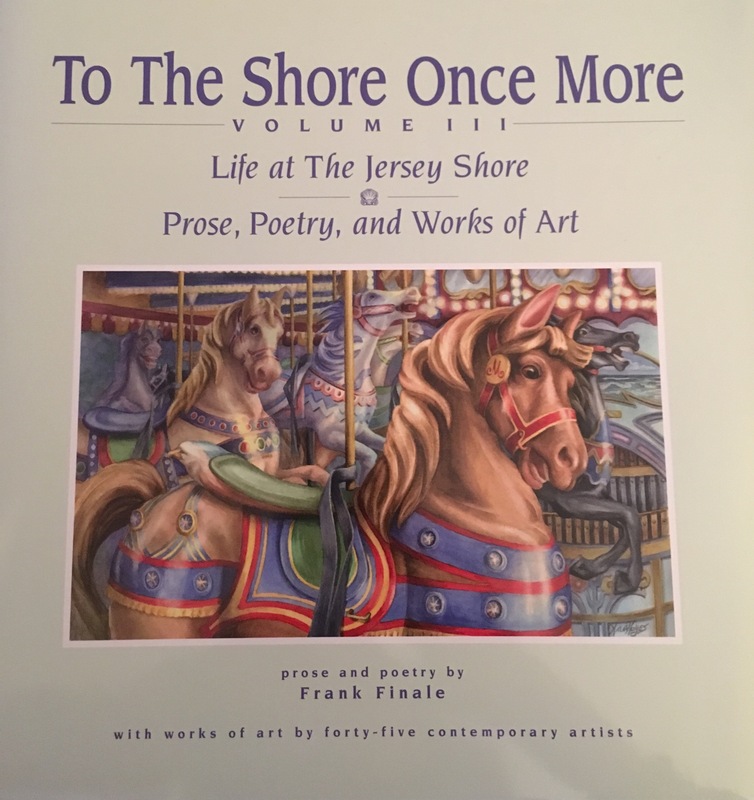 Painting "Boats in Lagoon II" included in To the Shore Once More, Volume III,Life at the Jersey Shore, Prose, Poetry and Works of Art, prose and poetry by Frank Finale with works of art by forty-five contemporary artists. 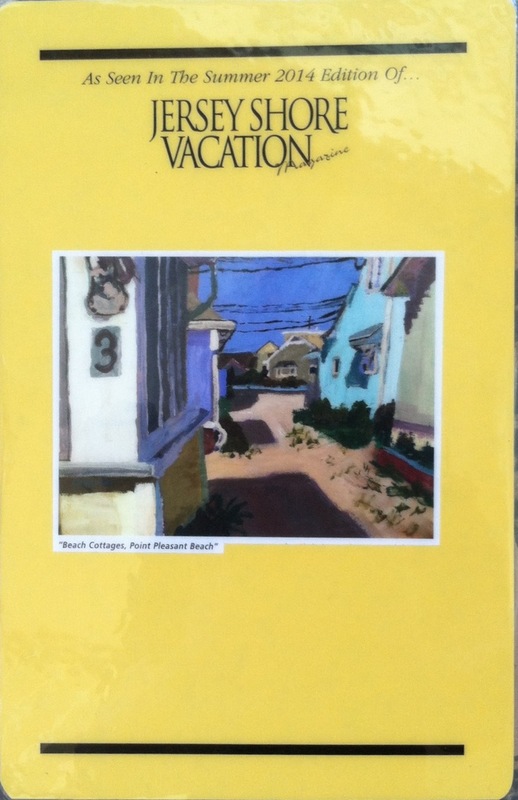 Jersey Shore Publications, Bay Head, NJ, published and edited by George C. Valente, artwork edited by Judy Cardella and George C. Valente. Interpreting fashion through the medium of visual art is a challenging theme for an art show. And that's just what Studio Montclair has done. On exhibit: Above, "Sally Siren," a mixed media painting by Studio Montclair artist Elizabeth Jane Munro, and below, "Quest," a photographic pigment print from the series "Fairy Tales and Other Stories" by Montclair photographer Lisa Rosen, a guest artist, show the variety and scope of the artwork in "Fashion as Muse." Their latest exhibit at Academy Square is "Fashion as Muse," which will be on view through Aug. 12 in both the first- and second-floor galleries at 33 Plymouth St. An opening reception for the artists will be held tomorrow, Friday, May 17, from 6 to 9 p.m. The exhibition was co-curated by Patricia Selden, Virginia Block, and Karen Nielsen-Fried. 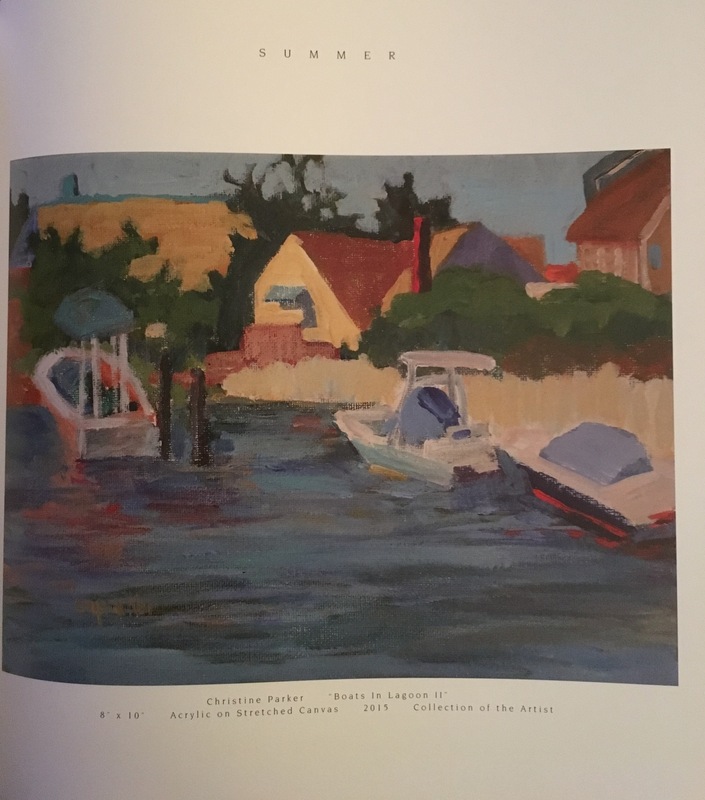 Looking through art history reference books, Virginia Block noted, "Through the first half of the 20th century, many fashion designers tracked and echoed trends in modern painting and sculpture. One memorable icon is Yves Saint Laurent's color-block dress from 1965, which was inspired by Mondrian's 'Broadway Boogie-Woogie.'" The curators of "Fashion As Muse" sought out works of art that were inspired by the current trends in fashion today. Artists were not limited to clothing, but could find their inspiration in the fashion trends in other fields as well, such as interior design, product design, architecture, and politics. Different from past exhibits, the first-floor gallery will display works by invited artists, while the second-floor gallery will exhibit works by member artists. The three co-curators felt that invited artists could add a new and exciting dimension to the exhibit. "The concept was to invite talented artists who work professionally in the fashion industry and blend their knowledge, inspiration, and talent to create works of fine art. These artists created their works for themselves, outside of their professional career," Curator Patricia Selden stated. The two invited artists are Claire Rosen and Fabiola Arias. "Claire Rosen, a Montclair resident, is a photographer and video artist who blends a fine art sensibility with commercial work to create whimsical imagery inspired by fairy tales, fables, and other stories," Selden added. "Claire's fashion photography, fine art photography, and advertising work touch on bizarre, whimsical, and rational themes. The 10 photographs in the exhibit have been inspired by her recent projects around the world." The second invited artist is Fabiola Arias, a fashion designer and a graduate of Parsons School of Design who began her studies as a painter. Her training as an artist informs her work as a fashion designer, and she tries to use fabric the way Impressionists used paint on canvas. Her gowns have been seen on the runway during Fashion Week in New York City and in Neiman Marcus stores. "Fashion is always connected to identity," stated Curator Karen Nielsen-Fried. "No matter how we choose to clothe ourselves, down to the smallest element - socks, earrings, scarf; baggy or sleek; traditional and tailored, or casually thrown together - we are making a decision about what we want to say to the world about ourselves. "We use our clothing and adornments to create the armor of our personhood," she added. "Fashion is a language of self-expression and even self-promotion: This is who I want you to think I am; this is the kind of persona I am attempting to project. Without words, we are able to communicate via the visual language of fashion. The symbolism of elements in fashion is deeply embedded in our collective consciousness. We all comprehend this non-verbal language." In addition to the work of invited artists, "Fashion As Muse" also exhibits the work of member artists Amy Becker, Ron Brown, Kathryn Eddy, Alice Harrison, Linda Brooks Hirschman, Eric Levin, Elizabeth Jane Munro, Nancy Ori, Christine Parker, Lexie Rechan, Matt Roberts, and Florence Weisz. Curator Virginia Schaeffer Block commented on the work of the member artists. The soft sculptures of Linda Brooks Hirschman are whimsical plant forms created using methods of the trade, incorporating fabrics, crochet, meticulous stitchery, buttons, and other items of adornment, she noted. Christine Parker painted almost life-size garments obviously inspired by fabric and how it drapes over and moves with the female form. She has chosen to eliminate the human figure altogether and, through the use of strong light and shadow, she has presented dynamic brightly colored garments that practically jump off the canvas. These are very painterly pieces showing the brush strokes and the built-up ridges in the paint. The work of photographer Nancy Ori is mesmerizing in its intricacy of detail. She has photographed segments of Victorian-era gowns in black and white. Although the viewer knows that the fabrics are soft and rich, the structure of the garments is rigid and controlling. One image is so symmetrical that it has a likeness to an architectural detail from an Italian Renaissance church, Block added. Alice Harrison works show a strong influence from the clothing of the Native American Indian. These works are dimensional and very textural, consisting of free-formed hand-made paper incorporating leather and other found objects. Curator Block continued, "There are four small but bold black and white collages titled 'Stripes Are In' by Florence Weisz that reflect the current fashion trend. These compositions are delightful divisions of space with stripes as the subject. Subtle textures are hidden and over-laid with watercolor washes that give a feeling of water washing over the sand at the shoreline with billowing sails floating overhead. Occasionally she interjects short white or black lines that resemble stitches or the markings on a dressmaker's pattern. Here and there a spark of yellow appears just to keep us on our toes. "As curators, the three of us were looking for unique interpretations of the theme, a diversity of works, and artists who have gone beyond the traditional approach in their choice of mediums," Block concluded. "And that's what you will find in this exhibit, 'Fashion as Muse.'"